Prepare your business for 2018. 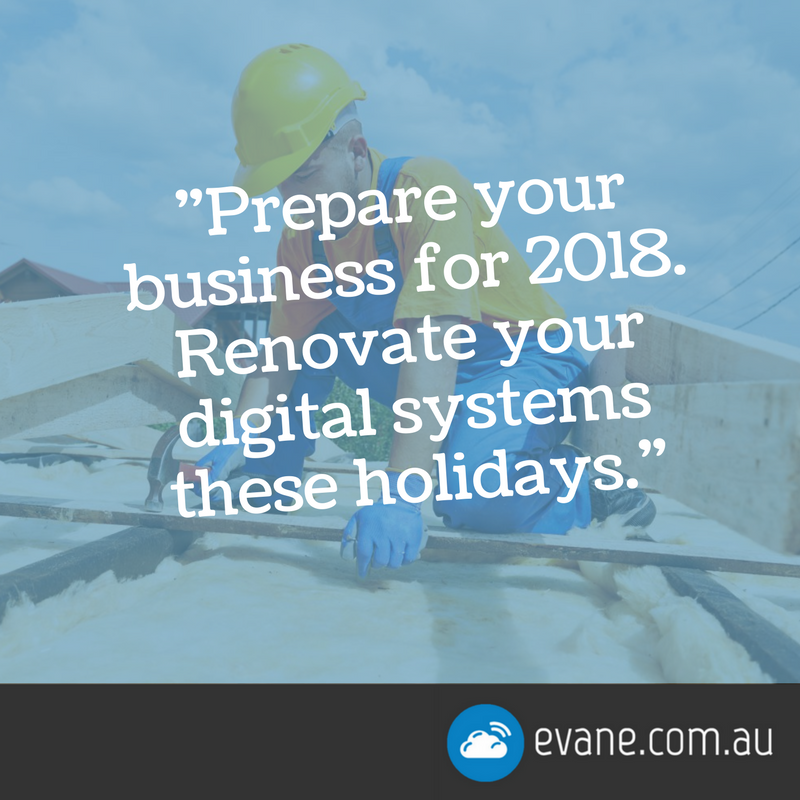 Renovate your digital systems these holidays. There are always things on our To Do list that never seem to happen. We know they are good and will make a difference but we just never get time to actually do them. If you haven’t started yet, now is the perfect time for your business to start planning for 2018. Get your business ready during January so you are set up well and ready to go! Are you looking for clarity on how to clean up your systems? Are you trying to find a new system for your CRM, project management, communication or file storage? Are you wanting to bring changes to other digital systems but don’t know where, when or how to start? Does your website need updating or a fresh design? If you answered Yes to any of these questions, then Evan can help you get your business ready to kick goals for 2018.